Have you ever heard of Zwanze Day? Every year, beer enthusiasts celebrate the release of a special sour beer made by Cantillon Brewery in Brussels, Belgium. In Flemish, a zwanze is actually a joke, and Zwanze Day is meant to be fun day of drinking this rare beer that is different each year. Cantillon actually hand picks the bars and breweries across the world that they would like to participate in Zwanze day. 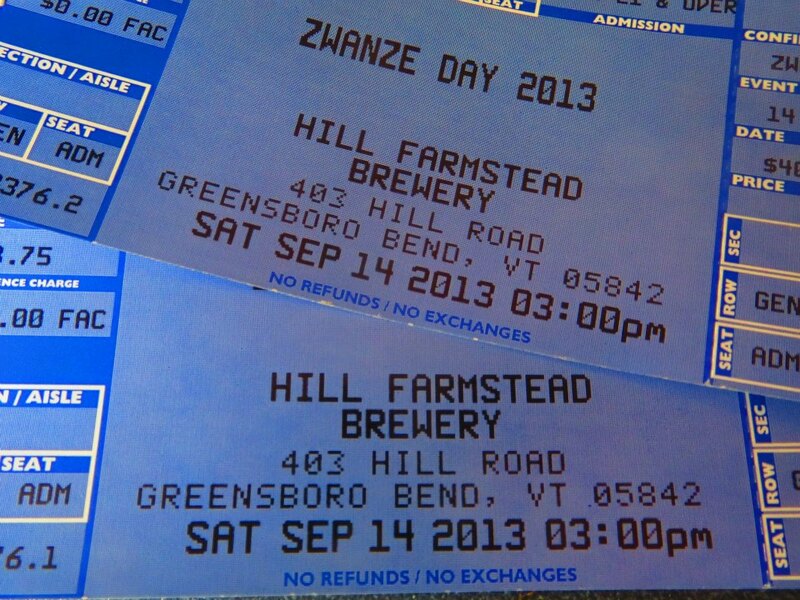 Then, they send the Zwanze beer over to be tapped at the same time around the world (3 PM EST for us). 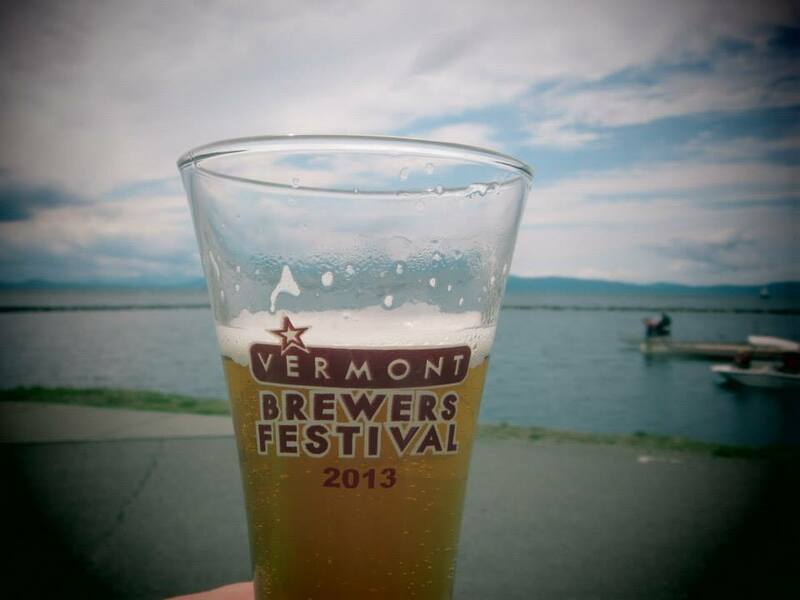 Here in Vermont, we were lucky enough to have a brewery that was picked by Cantillon to participate – Hill Farmstead. Hill Farmstead aka Shaun Hill (the brewmaster) really knows how to throw a party! 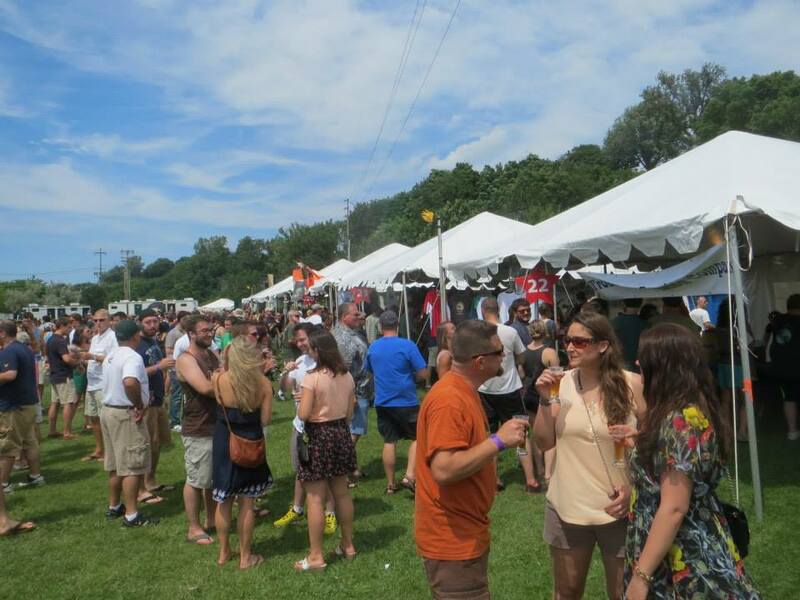 Only ticket holders were allowed at the brewery for the day, and a tent was set up complete with five different beers: 2 Grassroots beers & 3 Cantillon beers (including Zwanze). They decided to approach the festival in a different manner than usual, handing out colored tickets that corresponded to each beer. Each person received one ticket per beer. This gave each drinker a guarantee that they would be able to try all of the beers so that they didn’t have to worry about waiting in any lines. For once, a beer event wasn’t all about getting a beer and drinking it in line so that you could get your hands on the next beer. Instead, we were able to hang out on Hill Farmstead’s beautiful land, enjoying each and every beer in a civilized manner. Shaun Hill mentioned that he is always trying to think of better ways to organize beer events, and I really thought this way worked well. After the Zwanze event, we headed over the “Zwanze After Party” at a local restaurant, Parker Pie. 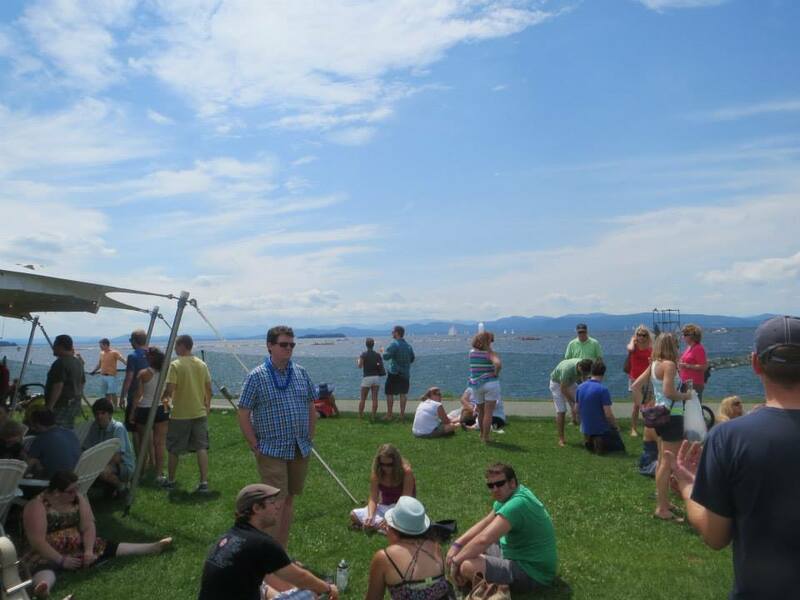 This is one of our favorite hang outs in Northeastern Vermont. I’ve actually mentioned it before here. 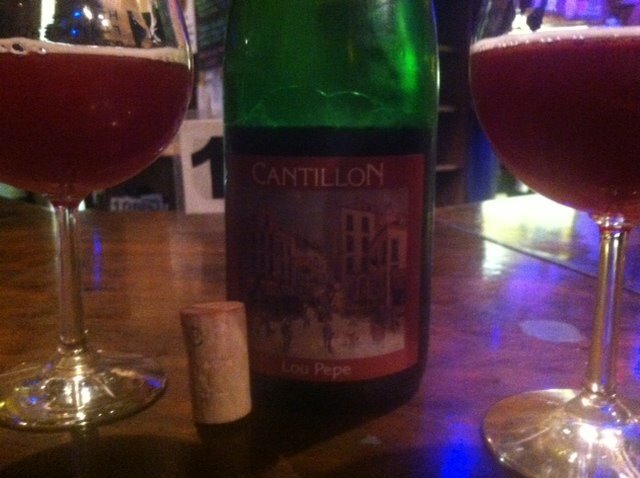 Parker Pie had some great Cantillon bottles and I was hooked on their Kriek as usual! Just a couple weeks ago, the farms up here in Vermont were producing eggplant like crazy and just beginning their spaghetti squash harvest. I love spaghetti squash and how easy it is to make. I also love that it gives me a chance to really splurge on a pasta type dish, because without the actual pasta, I don’t have to worry about the carbs, calories, or sodium. It was also a chance to use some of our homemade tomato sauce. I decided to put together a meal that was 95% Italian. The other 5% comes from the Vermont cheddar cheese I ended up adding instead of mozzarella only because I didn’t have any on hand. It didn’t matter, the end result was delicious. 2. Place eggplants slices in a small baking pan. Add basil, any Italian spices you may want to add, tomato sauce, and cheese on each layer that you may have. 3. Bake for 25-30 minutes. Can bake concurrent with spaghetti squash. 1. Slice the squash in half long ways and scoop out the insides with a spoon (scrape the seeds and easy stuff out until you are scraping against the harder inside). 2. Although not necessary, you can sprinkle some pepper on the inside for flavoring. 3. Put a half inch of water in the baking pan. 4. Place the squash halves, open side down, on the pan and cook in 375 degrees for about 30-35 minutes. You should be able to stick a fork through the outside when it is done. 5. Take the squash out and put it right side up. Now, take a fork and just scrape it against the sides “fluffing” the spaghetti like pieces. There is a lot more there than you think! You should be able to scrape them off until you reach the skin. 7. After you have scraped all of the squash into spaghetti, dress it with tomato sauce and cheese. Place back in the oven, on broil, for about a minute or two. Pan fried polenta is an amazing side to any dish because it is crispy and delicious. 1. Cut polenta in thick slices, 1-2 inches thick. 2. Put a thin layer of EVO in a pan and place it on a medium heat. 3. Place the polenta in the pan. Season with Italian seasonings if you wish. 4. Sear on each side for approximately 10-15 minutes. The polenta will become smaller, thinner, and crispier. Keep checking it to make sure it does not stick to the bottom. Add more oil as necessary, but do not drown in oil or you will get soggy polenta. All of these parts of the dish are very simple and easy to play around with, so don’t feel like you have to follow this recipe to strictly.